Are computers a good thing? 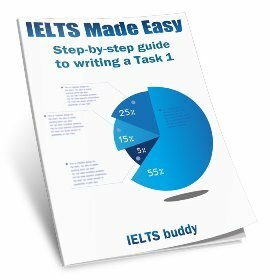 Can you please give your feedback on this essay? Using a computer everyday can have more negative than positive effects on children. In modern societies the number of time children spend surfing the internet have increased. Computers are one of the major technological device used around the globe. It is present in our homes, schools and working environment. Children who used the computer daily are exposed to a wide Range of information that can help them academically, socially and professionally. Despite these benefits some people argues that if children over used the internment the results can be quite damaging. Children who spend quality time on the internment are exposed to a huge amount of information that can help them to improve their grades and complete research. For example, while attending college almost everyone had a laptop to store information, and search for answers to questions that were very complicated. Theses student preformed better on exams because they became independent learners. Without the help of teachers they are motivated to use the internet to gain the information, as a result they retain more that if they were taught. Also, the internet is used as a medium for communication, as social network such as twitter and Facebook are great ways for children and teenagers to communicate and express their feelings to friends and relatives. This alternatively help them to communicate better. Further more, children are developing life long skills that are necessary for the job market. Most companies, requires that employees are computer literate, and spend thousands of dollars training their staff, so when they are filling vacancies they employ those who are already computer literate. Therefore, parents who allow their child or children to surf the internet on a daily basis are helping them to develop critical skills. On the other hand, there are long term effects that are associated with over use of the internet. These problem includes health issues like obesity, which can develop when children become addictive to the computer and decrease their outdoors activities. Moreover, this can also lead to antisocial behaviour. If children spent too much time using the internet and less time acquiring skills necessary for social interaction they can find it difficult to communicate appropriately. The most damaging aspect of spending too much time online, is the use of phonographic materials that can devalue the values parents are trying to instill in their children. These websites are everywhere online, even if your child is on an educational site they can pop up there as well ,and trying to close the site won't work, as they open automatically. Due to this the internet can be considered as unsafe for children. Overall, in my view, using the internet on a daily basis have both pros and cons, that are of equal important to young people. Therefore, parents need to have rules as to which site their children visit and the amount of time they spend online. Be very careful to analyse the topic and task carefully. In this question, the topic is 'computers', not 'the internet'. You have written it as if 'the internet' is the topic. Of course if you are writing about computers, the internet can be one of the ideas to discuss, but it is not just about this. 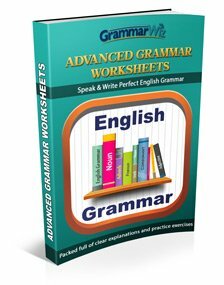 You do have some good vocab and grammar but there are some noticeable grammar errors in places that will prevent you getting the higher score for grammar. Ohh thank you very much I have never looked at it from that view point. This is really good feedback . You are amazing!!! do you do personal online tutoring ? I took your advice, please review. In modern societies computers are one of the major technological device use around the globe. It is present in our homes, schools, and working environment. Children who use computers daily are exposed to a wide Range of information that can help them academically, and professionally. Despite these benefits, some people argues that if children spend to much time on the computer the results can be quite damaging. Children who spend quality time on the computer, can access the internet, where huge amount of information are available,that can help them to improve their grades and complete research. For example, while attending college ,almost everyone had a laptop to store information, and search the web for answers to questions that were very complicated. These student preformed better on exams because they became independent learners. Without the help of tutors they are motivated to use the internet to gather the information, as a result they retain more that if they were taught. Secondly, life long skills that are necessary for the job market are developed when they start using a computer at an early age. Most companies, requires that employees are computer literate, and spend thousands of dollars training their staff, so when they are filling vacancies, they employ those who are already computer literate. Therefore, parents who allow their child or children to use these devices on a daily basis are helping them to develop critical skills. On the other hand, there are long term effects that are associated with over use of computers. These problem includes health issues like obesity, which can develop when children become addictive to the computer and decrease their outdoors activities. Moreover, this can also lead to antisocial behaviour. If children spent too much time using the computer to play games or surfing the internet, and less time acquiring skills necessary for social interaction they can find it difficult to communicate appropriately. Overall, in my view, using computers on a daily basis have both pros and cons, that are of equal important to young people. Therefore, parents need to have rules as to how much time their child or children are allow to use the computer each day. It was very good i like it because it helped me in my homework a lot! In today's modern world, computers are needed everyday. Around the world, children use computers from the time they are little. It's true that children should have fun when they are young; however, in my opinion, a child who knows how to use the computer will be more successful in the future. My reasons for this view are personal, academic and professional. Students are becoming weaker in reading and writing as they are depending on computers very much. Teachers should enforce them to reduce this habit. Undoubtedly, relying on computers are making the students handicapped in reading and writing skills to a very large extent. Of course, teachers must discourage this dependence on computers for their students. 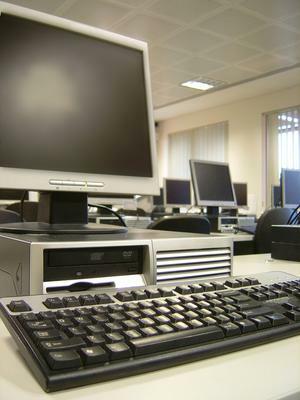 In a last few decades, computer has not only touched the business but also it is incorporated profusely in education. The primary class students have their personal I-TABS, instead of books in their hands. So they do have the habits to type on monitor of computer and are not used to writings on text books. Moreover, computer auto-correct the spellings and grammatical mistakes and the students no more take care of them and become worse in their writings. Additionally, most of the teachers notes, the students get in the form of word or power point presentations, which are up to the point. And students no more use to read the vast content of books and gradually getting poor in reading too. Certainly, teachers can play a vital role in improving their students writing and reading skills. Because school is the very first learning point and teachers are the first-step educators for them. And if they encourage the students to bring books, textbooks, and pens instead of computers to the school. They likely to do same. Secondly, teachers should move to traditional methods of teaching instead of advanced method of teaching and learning. for example; using the book, reading method, dictation method instead power point presentation. To recapitulate, computers have made the students addicted for them, so their reading and writing skills are not worth it, and teachers are the only guides to them; so as improve their habit of overuse of computers and reinforce their study skills. What are your thoughts on this essay? Is it organised well and does it answer the question? 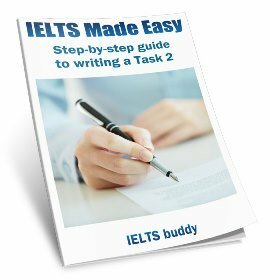 Please leave your feedback below on this Computer Essay in order to help this student improve their IELTS essay writing skills. Do computers impact on children? Using a computer everyday can have more negative than positive effects on young children. Modern era is technological era. Computer become a integral part of our life. Youngsters use it in many ways. In my opinion it has more positive impacts than negative on young generation. First of all, Computer help the children in their studies. They search many type of information related to their studies through internet. They get more ideas related to any particular topic which enhance their knowledge. Secondly, it helps to improve there skills. With the help of social sites like facebook, twitter they interact with their friends, kith-kin. It helps them to increase their capability to communicate with others. Moreover, they become perfect in their work, they become literate in computer. Which would help them in their career also. Then everywhere is demand of computer it would helps to organisations to find perfect match for job. Then, they need not to trained staff, they can get efficient persons. However, one of the major drawback is that it invite many health problems among young children they spent long hours in front of computers which effect on their eyes, obesity is another problem for them. Furthermore it increase gap between parents and their child they spent most of their time on computer rather than talk to their guardian. In nutshell, I would like to say that even computer has many pros and cons. Parents should fix sometime to use the computer and also restrict on websites. Please feedback on this Computer Essay below in order to help this student improve their writing skills. Thank you very much for helping me to improve my English listening and speaking. 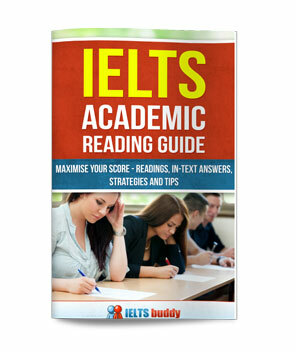 Furthermore, I learn a lot from the IELTS LESSON. I do hope that you will share more new things to me. the part that you write "the major drawback is that it invite ...."
"the major drawback is that it invites ..."
THANKS A LOT. IT HELPED ME A LOT IN THE SPEECH I WAS SUPPOSED TO IN MY CLASS AS A SPEAKING ACTIVITY. so many grammar and spelling mistakes... god! Using a computer every day can have more negative than positive effects on children. The application of technology has led to dramatic changes to our modern society, while the use of computers for children daily, however, has caused a debate among parents and teachers. Through using computers, children could have easy access to information and update themselves quickly. The Internet provides a wide variety of information about the current affairs and children could use it as a platform to gain knowledge and form a reading habit. Also, computer-generated animations can be an educational tool for them to understand the development of technology and those English motivated cartoons such as Cinderella and The Lion King can teach children the right and wrong which is more efficient than the force-feeding teaching method. The disadvantages that related to the widespread use of computers for children, however, can not be ignored as well. Children are those groups of people who have no self-control and can be easily addicted to computer games and entertainment programs, which may not only occupy too much homework time but also can cause children inattentive in class.Plus, staring too much time on the screen may lead to headache and eyestrain and as they reduce the time to interact with their peers face to face, the feeling of isolation and lonely will be increased. Both of those problems could pose threat to children's health physically and emotionally. Overall, personally I suggest that parents and teachers are supposed to supervise and restrict the time that children used on computers, and only when they gain the skill about the allocation of time, can they be allowed to use computers autonomously. Do you think this is a good essay? You can feedback on this Computer Essay below. plz evaluate my task-2 and give desired band. It is often argued that today’s generation are more addicted to computers. This essay deals with the problems associated with dependence on computers and then gives a solution. Often children are reliant on gadgets for any piece of information they want and they end up spending a large proportion of their day on computers. Also, youngsters now-a-days get ready made information without much effort and become very lazy, as a result become obese and has brought about intricate problems in children. Researchers believe that spending more than 8 hours on electronic devices can increase heart attack rate manifold times. For instance, if a child spends 6 hours on computer per day, this will affect the retina of the eyes, also leads to postural imbalance and lack of social behavior towards others. This problem can be tackled by increasing awareness among children through schools, universities . Moreover, parents must also be informed about the negative aspects of spending too much time online. Though children are responsible enough for their actions, parents also must keep an eye for any noticeable behavior, also parents must encourage their children on spending more time outdoors. As an example, educational institutes must encourage students to do more offline research such as survey or opinions of different people on day-to-day issues. In conclusion, one of the major problem with over-use of technology is that children get detached from others and become lazy since all the information they need is given to them easily.